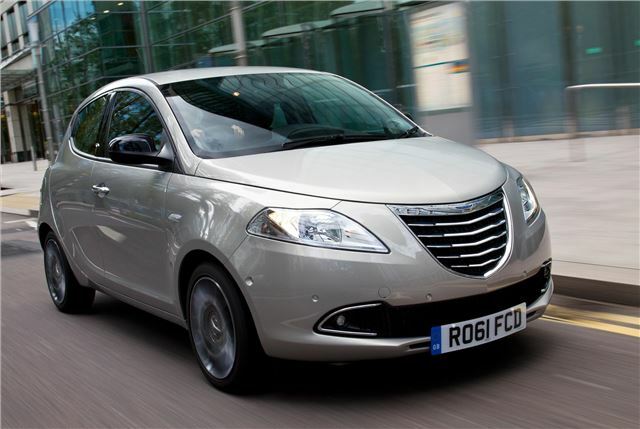 The Ypsilon is a small city car based on the same platform as the Fiat 500, with which it shares the TwinAir, 1.2-litre FIRE and 1.3-litre MultiJet engines, the former two of which are petrol and the latter diesel. Chrysler aims to sell the Ypsilon as a luxury small car, and so there are some nifty optional extra features which don’t usually appear on such small cars, including an automatic parking system, cruise control, Blue&Me Bluetooth and a powerful surround sound audio system. There are even leather seats on top level models. The Delta is a larger vehicle – indeed, Chrysler makes a special point of explaining that it’s the most spacious car in its class. It also aims to bring the level of comfort and luxury seen in larger cars to the small family car market. Park assist, Bluetooth and lane departure assist make an appearance, and rear legroom is best-in-class. On top models the rear seats can be reclined for extra comfort, too. Four engines are available, two 1.4-litre petrols and two diesels, a 1.6 with 120bhp and a range-topping 165bhp 2.0-litre MultiJet, which is only available in the top Limited trim level. The entry level S model starts at £16,695, while mid spec SE models start at £18,495. For an Alcantara and leather trim you’ll need the SR model, priced from £20,4495, and for the most luxurious Limited spec model you’ll need £25,695. Both the Ypsilon and the Delta are available to buy now. After launching any vehicle along with technicalities ,its color combination matters a lot that is why the selection of painting colors has been done many times for rare mistakes.